Our service differs from that of traditional guest houses, we offer a welcome basket that will allow you to prepare your first breakfast. 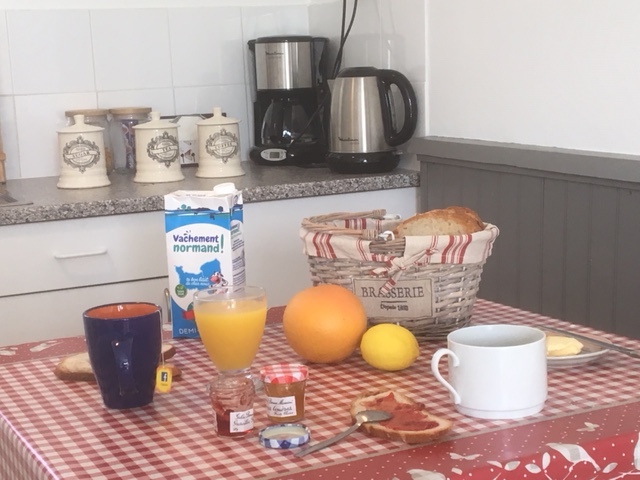 Coffee, tea, milk, orange juice and toast… will allow you to start your stay in Normandy, Utah Beach. The cottages are fully equipped to cook and prepare your meals as you wish. This welcome basket is offered to you upon your arrival. How good it is when you get here to relax rather than go shopping!